Designed for street 332-352-360-390-406-410-427-428ci Ford V8s with medium- or low-rise cylinder heads. This intake manifold is for 332, 352, 360, 390, 406, 410, 427 and 428 V8s with OEM 4V carb. ; 1966-72 (1973 non-CA); except stock equipped EGR. Manifold not equipped with EGR; will not accept stock Motorcraft spread-bore carburetor or fit heavy-duty 361ci and 391ci Ford truck V8s. Carb pad height: 4.92" Click here to determine carburetor pad height. 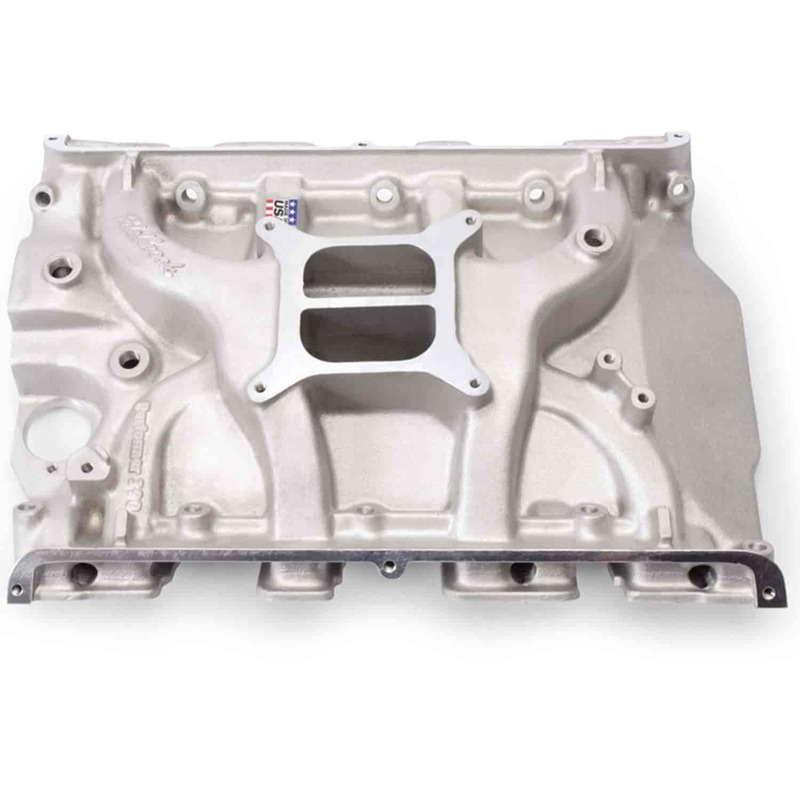 Does Edelbrock 2105 fit your vehicle? 2105 is rated 5.0 out of 5 by 4. Rated 5 out of 5 by Tjames307 from Works great fits great Very Happy with this intake. I put this on my 360 fe with a performer plus camshaft and the edelbrock 600cmf. The outcome was very noticeable. Make sure to have some rtv when installing and dont skimp on applying the rtv. Rated 5 out of 5 by Holt 123 from Great Good service very helpful with wurstions i had. Super friendly. Rated 5 out of 5 by CarolinaCustomRestoration from Best Price for Great Product Looked around for a better price, could not find any.